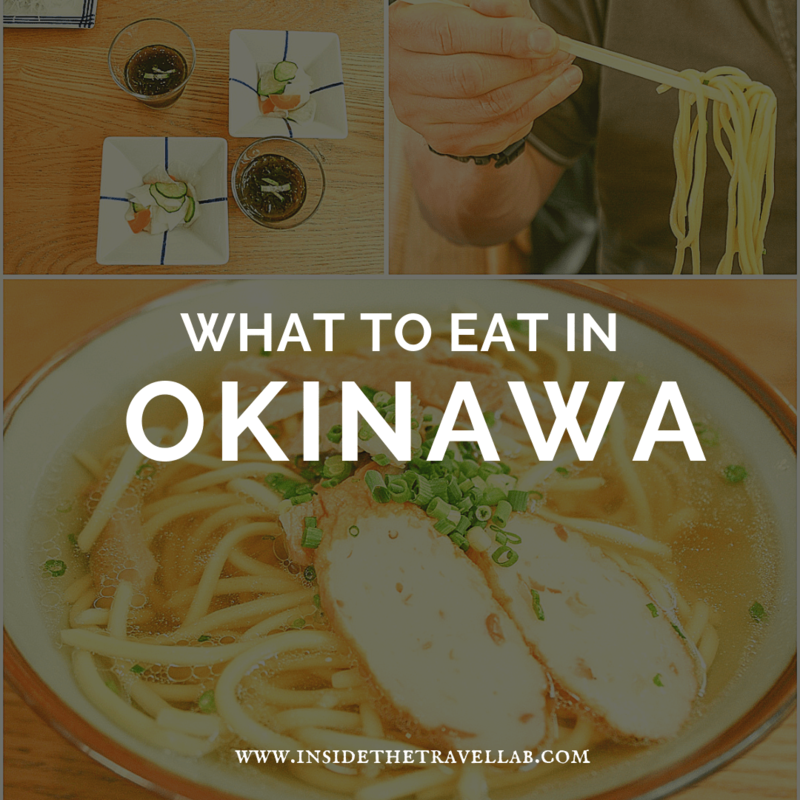 After a weekend of toddler birthday parties and enough salty quavers to sink a ship, I’m thinking back to the food I found in Okinawa as a tonic for recent overindulgence. Not because of its striking flavours and visual appeal, nor because I love food from around the world (well, OK, not just because of that.) 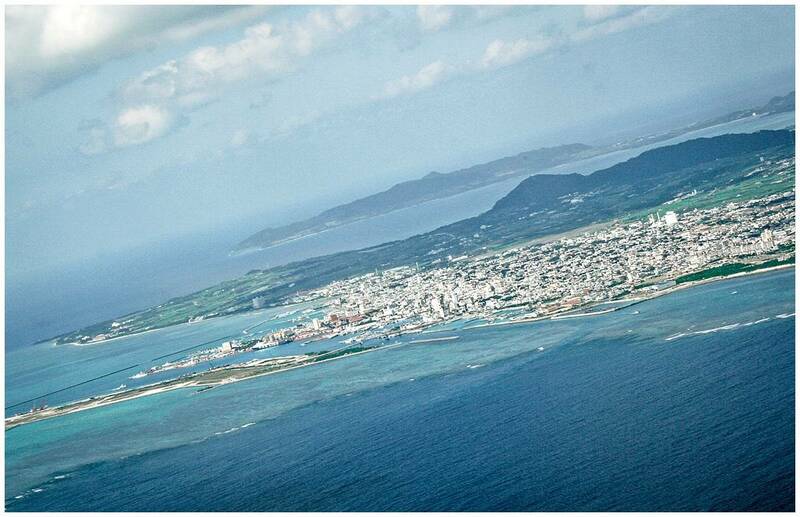 I’m mulling over Okinawa’s traditional food as it’s often credited as the secret to a long and healthy life. The first time I heard that phrase, my throat was burning, my tear ducts flowing and a column of stringy seaweed quivered on the end of my chopsticks. This was seaweed as my five year old self had imagined it: not crispy with sugar and salt, not flat and wrapped around rice, but cold, wet and curiously reminiscent of rotting frogspawn. This was clearly the Japanese equivalent of “eat your carrots so you can see in the dark.” A lie peddled by parents across the UK to make children eat their vegetables. 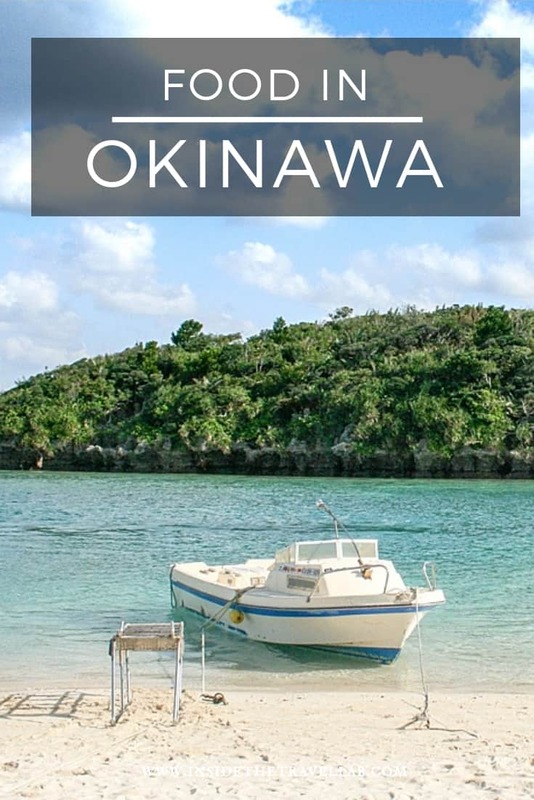 Yet Okinawa does have the weight of statistics behind its claims. Islanders hold the world record when it comes to longevity, with a higher percentage of centenarians than anywhere else. And it’s not just living longer, it’s living better. Not just a matter of chalking up the years but of whisking quality along for the ride as well. Yet the combination of quality of life and daily vinegar seaweed seemed, ahem, difficult to swallow. As it turned out, though, it wasn’t long before I heard those words again. This time, I braced myself, but I needn’t have worried. Bubblegum-coloured ice cream waited in neat spheres on top of cones. As a journalist, I’m compelled to do research, so I reached for the ice cream. Sweet, yes, but granular and almost earthy. A shot of synthetic parma violets mixed in with creamy goodness. 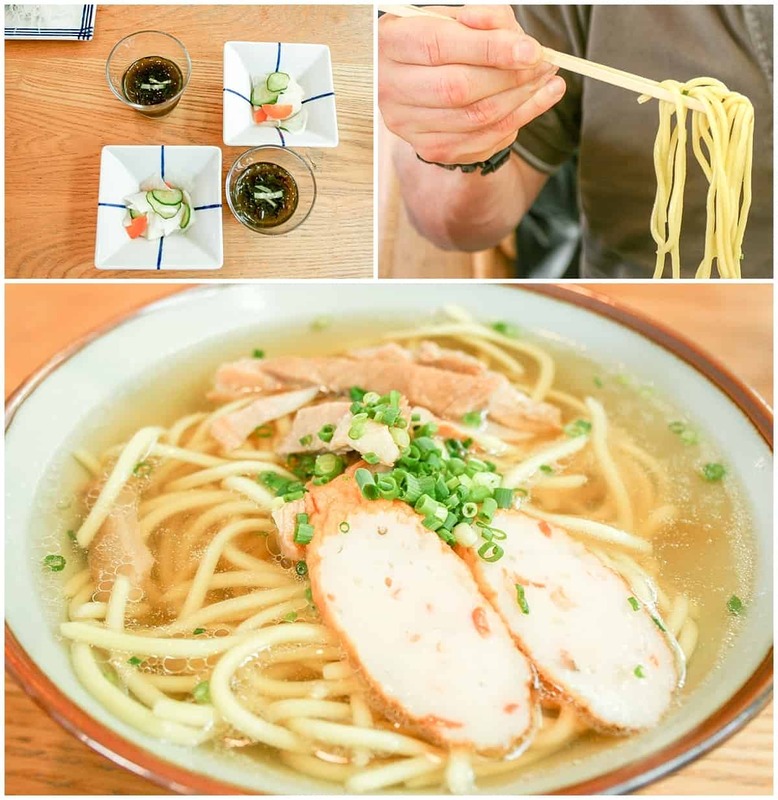 I was getting into the swing of food in Okinawa. Tastes here have soaked up plenty of influences over the centuries: flavours from mainland Japan, obviously, but geography and shifting alliances have also left a Chinese and Korean feel, while the lashings of sunshine provide pineapple and papaya. 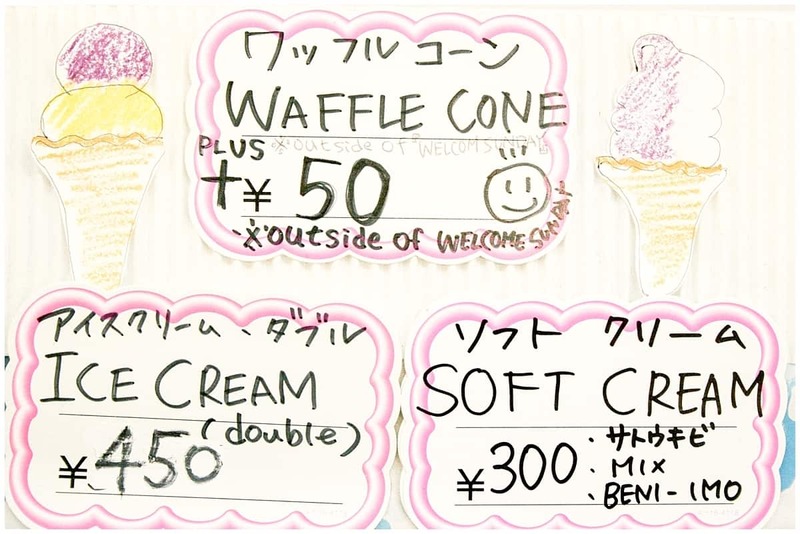 Then there’s the local input, the Ryukyu traditions. There’s Gōya, a kind of bobbly cucumber called “bitter melon” that’s famous enough to appear on Hello Kitty charms; kamaboko, a starchy, chewy fish cake; piyashi, a local pepper and pork. Plenty of plenty of pork. In fact, compared to mainland Japan, fish and seafood seemed out of fashion. Despite the watery surroundings, Okinawa is all about the pig: head, trotters, blood and intestines, all served in tiny pieces with flawless presentation. Usually, one of the best things about eating in Japan is the fact that meals look almost like jewellery boxes. Yet there was one Okinawan specialty that a more rough and ready appearance. I did as I was told, thudding the blade into the toffee-coloured blocks of unrefined sugar. They crumbled apart and I tried a piece, tasting strong malt and sticky syrup. 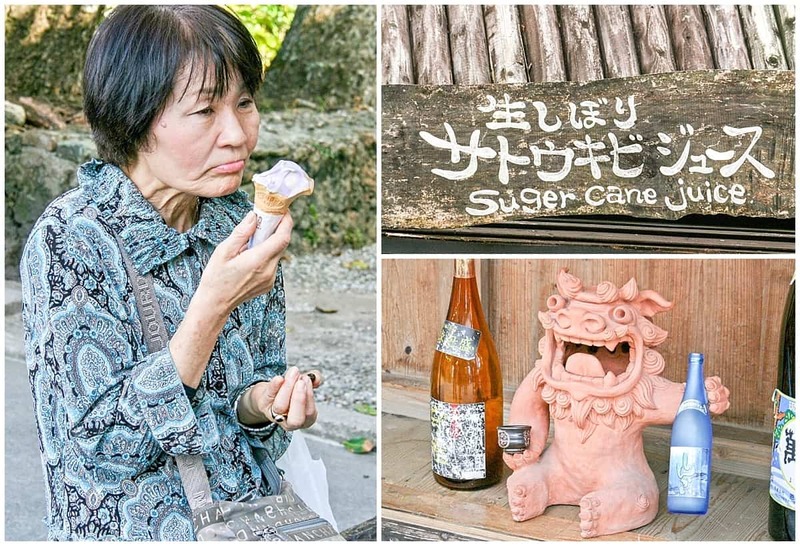 “Brown sugar is a specialty in Okinawa,” said Kuki, leaning over to translate the shopkeeper’s mumbled words. From the glint in his eye, I had an idea about what was coming. I’ve a feeling, just a hunch, that sugar is the secret to a long and healthy life. What do you think? 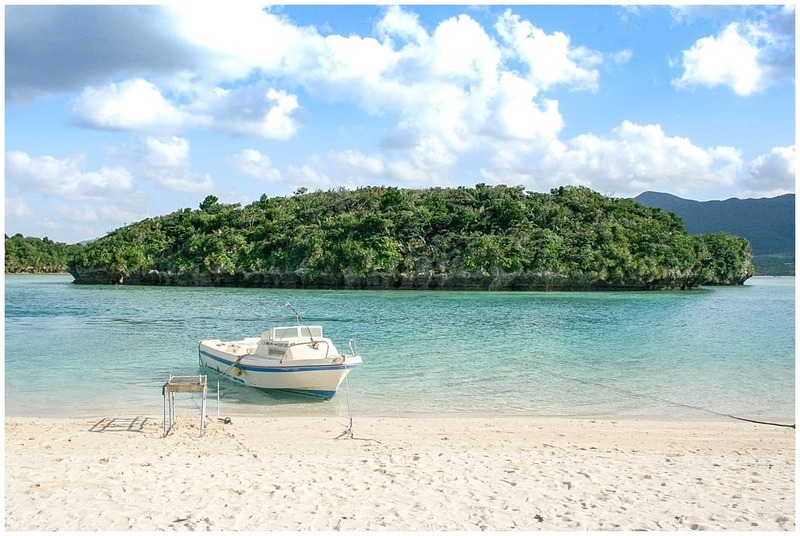 Have you heard about the Okinawa diet? Ever tried it? Would you want to? !